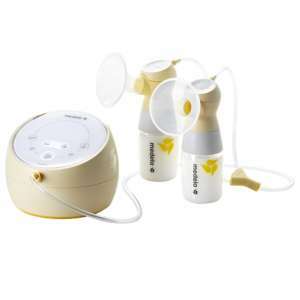 The Motif Duo Double Electric Breast Pump with rechargeable lithium ion battery is a lightweight, portable breast pump that can be used for single or double pumping. 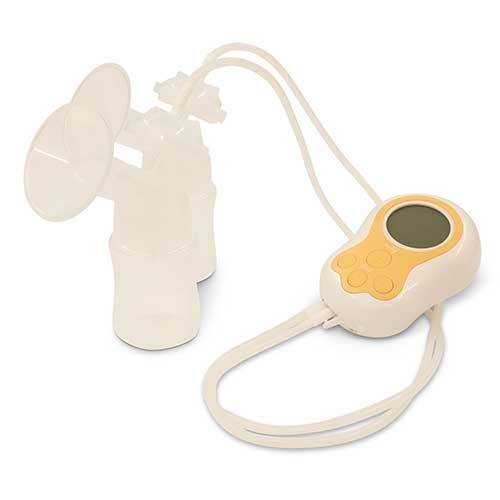 Weighing less than a pound, this breast pump is very portable and stays charged for over 2.5 hours. 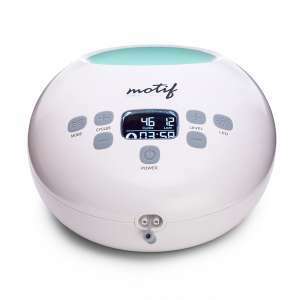 The Duo can operate on Massage, Expression, or Memory Mode and mom can adjust between 10 suction levels. Make sure you have a charger when you are out and about with your pump in case you run out of battery life! I love the Motif Duo for it’s hospital strength suction and it’s internal rechargeable battery. The individual speed and suction settings allow me to modify my pumping experience to most closely mimic the way my baby nurses. It is super quiet so I don’t wake up my husband or baby when I am pumping late at night and we all know that every second of sleep is super important for baby! I travel a lot for work, so the rechargeable capability of this pump lets me pump in the car or run out for a quick pumping break when on a work trip. It is easy to set up and break down and when I got my pump through insurance, it came with a free tote bag to carry it with! I LOVE this pump, and will get another in the future if I ever get pregnant again. I chose the Motif Duo for my last pregnancy. I love how small and lightweight it is. It’s so nice to have a portable option that still has strong suction. I also love the digital display and back light feature, so I don’t have to turn on all the lights to use the pump in the middle of the night. This pump is a closed system, meaning there is a physical barrier between the milk I’m expressing and my tubing. I love that I don’t ever have to worry about milk back-flow or condensation building up in my tubing. I would recommend this pump over all the other brands on the market. I’ve used others in the past, but they don’t have all the great features the Motif provides. Highly recommend this breast pump! 5 stars!! I love the Motif Duo!! Even though its motor is lightweight and small, suction strength is not compromised. The motor is extremely quiet. 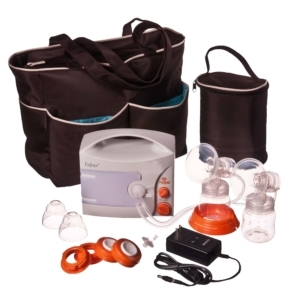 Unlike other breast pumps I have used in the past, if you were in the same room, you wouldn’t even notice that it was turned on. This pump definitely does not wake a sleeping baby. I also love that it has a rechargeable battery so that I don’t have to worry about where I am or what I am doing when it’s time for a pumping session. The Motif Duo can go anywhere and everywhere that I go with the little one. I am very happy with this pump.